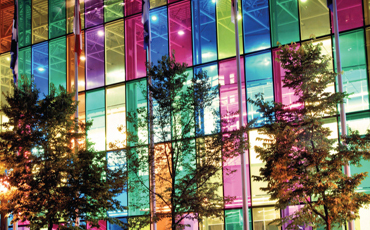 Many unremarkable modern buildings can be transformed into striking examples of attractive architecture with the application of a tinted or reflective decorative window film. Tintift’s extensive range of decorative films can offer a wonderful range of finishes on glass, offering almost unlimited decorative design ideas. 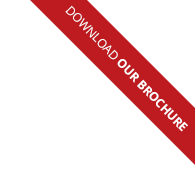 As well as our standard range of etched & frosted films we have numerous patterned, coloured, opaque, translucent & transparent films all installed to the very highest standards. We recently installed this decorative window film for the Freeman Hospital. The Tintfit stripes range includes a large selection of self-adhesive decorative films that can be used for design purposes as well as privacy. Tintfit offers a large selection of self-adhesive films, featuring contemporary patterns that will ensure privacy whilst allowing you to personalise any window, partition or other glazed surface. Specifically designed to be applied to the inside of windows, Tintfit transparent colour films are available in a choice of 7 different colours. Polyester based, these films retain remarkable transparency. 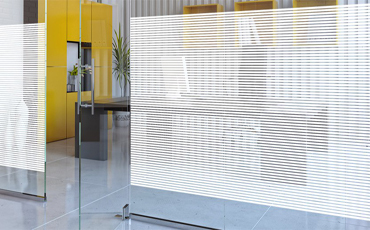 Applied to any glass surface, these films will instantly help create a pleasant and personalised atmosphere.